This adorable pink crochet baby dinosaur toy in pink is suitable from birth and machine washable. 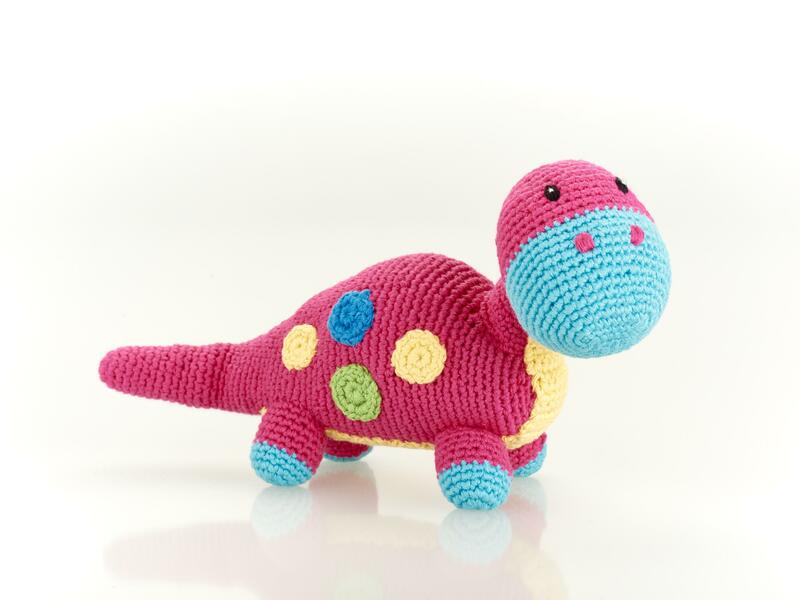 With its gentle rattle sound and stimulating crochet texture, this makes an ideal first dinosaur toy. If you are looking for dinosaur baby gift ideas, then look no further!